Disseminated coccidioidomycosis is caused by breathing in the spores of a fungus found in desert regions. The infection spreads throughout the body and is especially common in immunosuppressed people. 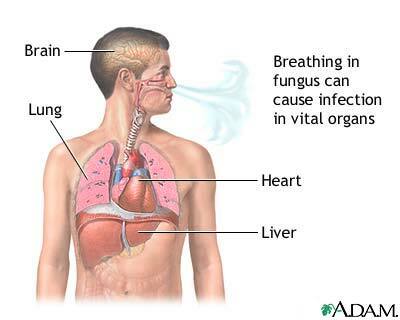 Antifungals may help but the death rate is very high.